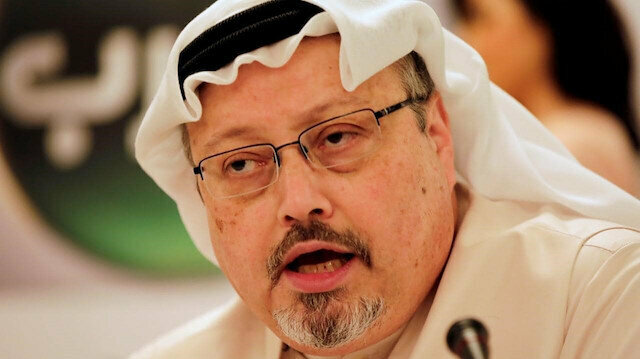 A meeting between a suspect and a Saudi resident in Turkey’s Yalova province is believed to be related to the disappearance of the body of slain Saudi journalist Jamal Khashoggi, Istanbul’s top prosecutor said on Monday. “It was found that one of the suspects who was involved in the killing of Khashoggi met a Saudi Arabian citizen residing in Yalova one day before the incident. It is believed that during this meeting, the annihilation/hiding of Khashoggi’s body was discussed,” the prosecutor said. An Arab tour by Saudi Crown Prince Mohammed bin Salman has been greeted with public protests, with many see the tour as an attempt to clear image after the murder of Saudi journalist Jamal Khashoggi.Bin Salman arrived in the United Arab Emirates (UAE) on Thursday for a three-day visit, during which he met with Abu Dhabi Crown Prince Mohammed bin Zayed.The Saudi crown prince also attended the final round of the Formula One World Championships in Abu Dhabi and met with Chechen leader Ramzan Kadirov.Galeri: Saudi Crown Prince bin Salman arrives in ManamaOn Sunday, bin Salman visited Bahrain for talks with King Hamad bin Issa.Though the Saudi Royal Court did not name the countries that bin Salman is due to visit, the crown prince is expected to visit Egypt, Tunisia, Algeria and Mauritania during his tour.The crown prince is also expected to attend G20 summit in Argentina later this month.Bin Salman’s tour is his first since Khashoggi, a Saudi journalist and a columnist for The Washington Post, was killed inside the Saudi Consulate in Istanbul last month.After initially saying Khashoggi had left the consulate alive, weeks later the Saudi administration admitted he was killed there, blaming a rogue group of Saudi operatives.-Beautifying imageIn a statement, Tunisia’s Journalist Syndicate said bin Salman’s visit to the Arab country “aims to beautify his bloody record”, citing Khashoggi’s killing and alleged human rights abuses in the oil-rich kingdom.A group of 50 Tunisian lawyers also said they would file a lawsuit to deny bin Salman entry into Tunisia.“We will also take other measures to prevent bin Salman’s visit,” Nizar Boujalal, a spokesman for the lawyers, told Anadolu Agency.He said the lawyers might stage a protest at the Tunis-Carthage airport upon bin Salman’s arrival.Tunisian activists have also called for a demonstration against the Saudi crown prince’s visit to the country.In Egypt, the Civil Democratic Movement, an umbrella of nine opposition groups, voiced resentment at bin Salman’s scheduled visit to Egypt.In a statement, the movement described bin Salman as “one of the architects of the seizure of Tiran and Sanafir islands” – two Red Sea island that Egypt ceded to Saudi Arabia under a maritime demarcation agreement in 2016.The movement said bin Salman’s visit was “an attempt to beautify his image as a result of Khashoggi’s killing”.Dozens of Egyptian journalists also issued a statement rejecting bin Salman’s visit due to the current deteriorating situation in Yemen and alleged normalized ties with Israel.In 2015, Saudi Arabia and several Sunni allies launched a massive air campaign against Houthi rebels, who overran much of the country, including capital Sanaa, a year earlier.Ongoing violence in Yemen has destroyed much of the country’s infrastructure, prompting the UN to describe the situation as one of “the worst humanitarian disasters of modern times”.-‘Horrific assassination’On Sunday, the Algerian Foreign Ministry strongly condemned the "horrific assassination" of Khashoggi, in the first official comment by Algiers on the murder.Algerian activists have also launched online campaigns against the planned visit by the Saudi crown prince to the country.Last week, Abderrazak Makri, head of the Movement of Society for Peace – the largest Islamist party in Algeria – said bin Salman’s visit “does not serve its image" on Arab and international spheres.In Mauritania, several political figures have called for boycotting bin Salman’s visit to the country, describing the visit as an attempt “to polish his image”, according to Mauritanian media. Turkish police carried out inspections at a villa in Yalova in relation to the investigation into the killing of journalist Jamal Khashoggi. The police and the gendarmerie took security measures around the two story villa in Samanli village of Termal district, according to police sources. The drone-backed search has been assisted by sniffer dogs, as well.